Does it feel like the therapist only cares about the other person? m Sometimes you go for therapy, with a person you think of as “your therapist” only to find they don’t really want to talk about you or your problems. They are only interested in your family member’s problems. What is going on here? One problem for therapists is defining the “unit of treatment.” A good therapist will try to explain this to you at the beginning, but sometimes they don’t and sometimes in the crisis of the moment you don’t get the details. Let me explain a couple of situations where this may be occurring. When one member of the family has been seeing a counselor and now they want the counselor to help them with their relationship with another family member. Let’s say the client is a twenty-something woman and she has conflicts with her mother. Mom gets invited to the next session. Mom wants to talk about how difficult it is getting along with her daughter and how she had to raise the daughter all by herself and now mom’s depression has been interfering with her life. Mom would like more respect and caring from her daughter. The therapist does not want to hear about mom’s history of problems with depression, her hard life and all the times the daughter disrespected her mother. The therapist wants to talk about their last fight and how mom could better support her daughter by being more understanding of the daughter’s mental health problems. What has gone wrong here? The therapist is the DAUGHTERS therapist. The unit of treatment is the DAUGHTER. They are not going to spend time on mom’s problems. If mom needs therapy then she needs to get her own therapist. In this situation, Mom is a guest in the daughter’s therapy session. This can sometimes be referred to as a collateral session. A collateral session is all about how the guest can help the identified patient. If you ever get this kind of invite you should ask some questions. Is this for both of you to work out problems or are you only there so that the other party can tell you why you hurt them and they are expected you to do something to help them? As a guest, you do not get confidentiality. 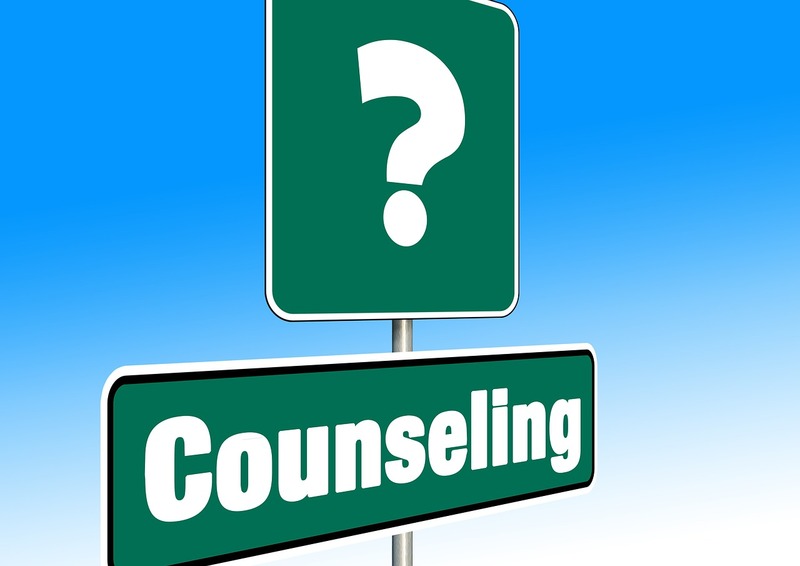 You are not the therapist’s client and if you disclose that time you did something wrong you may get reported even if this is not a mandated reportable situation. Also if the daughter has told the therapist about things she has done in the past to the mother, like steal her money and forge her signature, the therapist can’t break confidentiality and tell mom. Another situation that causes a lot of confusion is when a person is being seen for individual therapy and then asks their partner to join this. Say the woman above now wants to do some session with her husband. Is this a request to stop individual therapy and begin couples therapy? Or is this an effort to bring the partner in to learn how to be more supportive and helpful to the wife? This is an awful situation for a lot of men. They have talked with me in individual sessions repeatedly about how they went to a session with the wife and felt bushwhacked. The therapist, sometimes with a very feminist point of view, spent the session telling the husband how it was his fault, that all women are oppressed by their husbands and he is to blame for their marital problems. Now any good marriage therapist knows or should know, that taking sides is likely to make the conflict between the partner’s worse and is not going to help the relationship. We should always be neutral. But if you have spent months listening to a client tell you all the awful things their spouse does to them, it is very tempting to turn this into a “heart to heart talk” by creating a safe place for your client to tell their spouse off. This kind of session usually ends up in a blowout argument and possible violence or an end to the relationship. Counselors who do this sort of work should warn their clients to come in separate cars because after beating up on one of the partners there is no way that person is likely to give in say it was all my fault and go home to do as told. If you go to a session with your partner’s therapist and this is not to begin couples therapy, expect it to be ALL about them and not you. A few therapists can handle this well and help the couple or family work some things out, but just who is here for treatment should be clarified at the start of the session. The last example I will give is the parent, usually mom, who takes the child for therapy. They expect the therapist to help them cope with raising this defiant, belligerent child. What happens is that the session becomes all about how mom can be a better more nurturing parent and what the developmental needs of the child are at this age. She is instructed to spend more time reading to her child, help him with his homework and make sure to walk him to and from school to increase his sense of security. The sessions are all about the child. Never mind that mom does not sleep nights because of the nightmares from the abusive violent relationship or that dad is away in prison for what he did to mom and child. Mom also wants help with how she as a single parent is supposed to work two jobs to support her kids and still do all this with the identified patient child. As much as she loves this child and knows he needs her attention she has three others who also need attention. What has gone wrong here? The unit of treatment is the child, not the family. Mom gets only the help that relates to her ability to help her son. Now sometimes the therapist will shift the focus and start helping mom. The risk then is that the therapist will side with mom and spend the sessions beating up on the child, telling him he is a bad person and that everything is his fault. A good therapist will balance all these needs and help the whole family but this is a difficult task. There are a whole lot more issues around children in therapy we need to look at. Can they consent, do they get confidentiality and if so how much? Can an 8-year-old really consent to treatment? Is telling him he is the bad child an institutionalized form of child abuse? And do we sometimes abuse the parent to make the child feel better? This post is running long and I need to leave those issues for other posts. My conclusion is that there are good therapists who do a great job and not so good therapists who don’t do a good job of juggling these issues. Any time more than one person walks into a consulting room there are conflicts about whom we are helping and how we should be with the others. Have you ever been to a therapist who just didn’t seem to care about your problems? This entry was posted in Counseling and Therapy, Couples Therapy, Family Problems and tagged By David Joel Miller, happy life, Licensed Therapist & Licensed Counselor, relationship counseling by David Joel Miller. Bookmark the permalink.